There's / more to me than / most people / see. Twelve-year-old Willow would rather blend in than stick out. But she still wants to be seen for who she is. She wants her parents to notice that she is growing up. She wants her best friend to like her better than she likes a certain boy. She wants, more than anything, to mush the dogs out to her grandparents' house, by herself, with Roxy in the lead. But sometimes when it's just you, one mistake can have frightening consequences...And when Willow stumbles, it takes a surprising group of friends to help her make things right again. 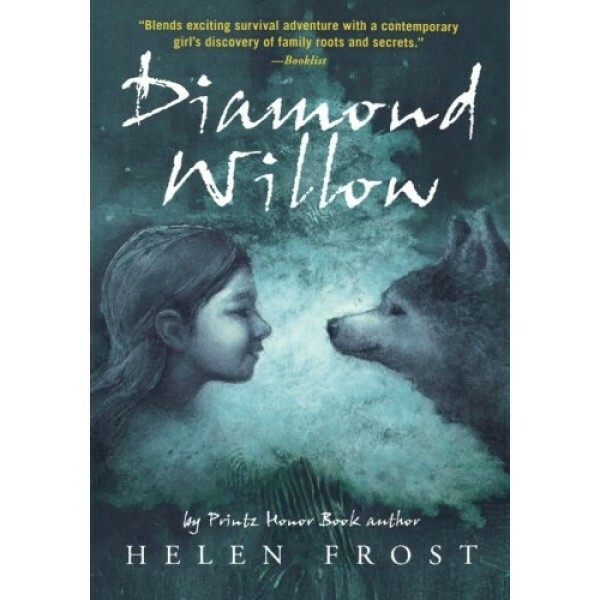 Using diamond-shaped poems inspired by forms found in polished diamond willow sticks, Helen Frost tells the moving story of Willow and her family. 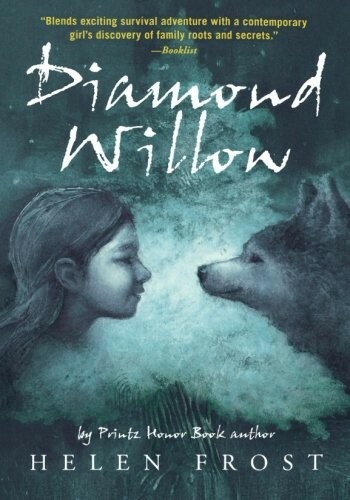 Hidden messages within each diamond carry the reader further, into feelings Willow doesn't reveal even to herself.